With Easter just over a month away, a whopping number of Aussies are gearing up for their next break. Thanks to peak holiday prices during school breaks and an ever-growing to-do list, many of us will forego travel insurance or choose to take advantage of the complimentary cover offered by credit card companies. But is this really the best option? Check the following loopholes to find out. Quite often it is only the cardholder who would be covered, leaving their travel companions in the lurch. When travelling with a family in tow, you could find that your cover only extends to yourself leaving your spouse or any dependants without cover. Many credit card travel insurance policies will not provide cover for pre-existing medical conditions or will restrict cover to a specific list of conditions. For instance the American Express Platinum card does not cover losses arising from pre-existing medical conditions. Applying for additional medical coverage with your credit card is usually not an option so those with prior health conditions may want to research other options. Those with a taste for adventure should consult the credit card company’s list of covered activities before taking a walk on the wild side. Many pastimes such as skiing and scuba diving may be excluded so check the fine print before diving in. Stand-alone policies will often allow you to pay an additional premium to get riskier activities included. For example Zoom’s adventure pack covers skydiving, river rafting and scuba diving along with other, more high-risk activities. Don’t assume your credit card cover will kick in automatically; most credit card benefits will only ‘activate’ once you’ve paid for some or -- or all -- of your flight, accomodation and tour costs on your credit card. For instance, Commonwealth Bank cardholders must pay at least 90% or at least $950 of their trip costs using their card in order to be eligible for ‘free’ travel insurance. A major drawback of credit card cover is the significant excess charged when making a claim compared to standalone policies. For instance, the American Express Platinum Edge credit card charges up to $500 for some types of claims. Most standalone travel insurance policies allow you to travel up to a year in duration, some even longer if you look for it, whereas some credit card policies only covers short trips. For example, Qantas’ Premier Everyday card only provides cover for 30 day trips, and you must pay at least $500 of your prepaid travel expenses on the card to activate the policy. Perhaps one of the most restrictive aspects of credit card travel policies are the age limits imposed upon cardholders. Most policies restrict cover to travellers aged 80 and under, while some such as NAB’s Low Fee Platinum card excludes overseas travel and medical insurance to those aged between 76 and 90 years. On the other hand quite a few stand-alone providers have no age limits. While it’s sold as ‘free’, complimentary credit card cover may be a misnomer. In addition to activation requirements credit cards typically have annual fees ranging anywhere from $50 to over $500. So despite the allure of a freebie, it’s important to pay attention to the costs associated with ‘free’ travel insurance. Once you weigh up both activation charges and annual fees, a stand-alone travel insurance policy may prove to be more cost effective. WHY IS IT IMPORTANT TO CHECK? The 2017 passing of four-year-old Kaya Sweeney in Bali highlights the importance of good travel insurance. Unbeknown to Kaya’s family, their credit card had been recently cancelled, leaving them ineligible for its attached travel insurance benefits. The Sweeney’s were forced to run a ‘GoFundMe’ page to cover Kaya’s considerable medical and air ambulance costs. This heartbreaking story ultimately spells out just how crucial standalone travel insurance is in an emergency. Had the Sweeney’s been covered, Kaya’s medical costs would have been taken care of and the family could at least have been spared the financial stress. As most travel insurance providers have dedicated 24/7 staff equipped to deal with trouble abroad, insured travellers would have the necessary support and guidance to help manage an overseas crisis. Ultimately, travel insurance is a must-have when heading abroad. Credit card cover may suit certain young, fit individuals planning on laying by a pool, but it’s important for travellers to do their homework to determine whether their cover is suitable for their trip and needs. It’s easy to assume you’ll be covered by your credit card but we would encourage cardholders to really be on top of their policy details. Put simply; don’t assume you’ll be covered. Whether you choose to go with your credit card company or a direct travel insurance brand make sure you pick a company that you can rely on and contact easily. In the worst case scenario a reputable provider with proven expertise can be truly invaluable. Zoom to sailing coverage! With automatic cover for up to 10 nautical miles, and 15 with our Sports and Adventure pack, why not see South Korea by sea? Zoom to car coverage. 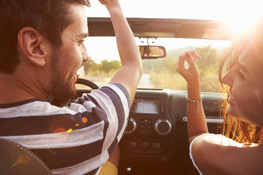 Renting a vehicle while on holiday? We can cover it with our optional rental vehicle excess pack. Budget backpacker only looking for the bare essentials, luxury traveller looking for cover for those high-value gadgets, or somewhere in between? Compare our policies to find the one which is right for you. Say goodbye to the boss, and book your leave around public holidays for some serious time off. Jetsetting more than a few times this year? Our frequent traveller policy might save you time and money.